The world in which our children are growing up in is vastly different to the one we found our feet in. Children today face so many new and varied pressures that just didn’t exist when we were navigating the tricky terrain of childhood, and so it makes sense for us as parents to be as switched on as we can be. We need to be taking an active and mindful interest in our children’s lives, and we need to be aware of the ways in which we can keep them safe too. With many under 16s now owning a smartphone, tablet and/ or computer it really is crucial for parents to know. How to keep kids safe online. This week we’re looking at ways we can do this, and reasons why it’s so important. Please do get in touch with your thoughts too. The internet is amazing. When we were growing up, we didn’t have instant access to such a wealth of knowledge, information and opportunities to be social at the touch of a button. It’s one of the most amazing and innovative creations of the modern world and our children are so lucky to have it. Those who can remember the days of tape loading games and how long that used to take will know exactly what I mean! But with the wonders that it brings, there are inevitable pitfalls too. The internet is, quite frankly, a HUGE place for our children to be visiting. There are so many areas of the web that we don’t know about, and so many ways that our children can become vulnerable without us even knowing. The digital world changes so frequently and so rapidly that it can be really hard for parents to keep up with what their children are doing. 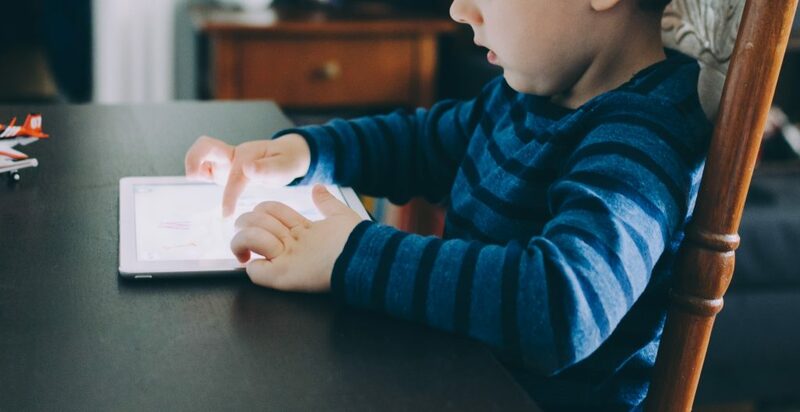 Because of the nature of these changes, certain screen guarding procedures may not yet be in place, and this can mean your child isn’t always safe online. What does being safe online mean? We advise our children not to speak to strangers at the park and to always let you or a teacher know if they are being bullied; the same rules apply to online activity too. Sometimes it’s only too easy for kids to get ‘duped’ by online personas who aren’t all that they claim to be, so having an awareness of the ways in which your child might be vulnerable is so important. Read on for more tips on how to keep your child safe online. Your child will most likely go online to connect with friends and to browse the internet for information or to play games. Your child is likely to use Google, Whatsapp, Instagram, Snapchat and even sites such as Facebook and Twitter too. Do you know how to use these sites too? Lots of children also chat via other sites such as games or YouTube, and actually can browse for literally anything online. That’s quite a scary thought! If the thought of your child being able to access almost anything online makes you sweat, then you need to know how to keep them safe while they’re online. A complete blanket ban of the internet is not going to go down well, and isn’t necessary either. There are so many learning opportunities online for your child that you really don’t want them to miss. You need to know what games you child is playing. Some are not suitable for children and may contain disturbing images or concepts. Some may contain abusive material directed towards others and some have chat room facilities that your child will be able to access freely. This means that they can speak to anyone, around the world, and conversations aren’t always monitored. Some children find certain games addictive and when this happens, other areas of their life can be affected. If you’re concerned, always check the game’s suitability (age rating, reviews, or take a look for yourself), and know how to block and report if you need to. It’s also a good idea to educate your child and be certain they know not to share information and to let you know if a game has upset them. Always activate safety settings, and update parental controls regularly. Check your child’s browsing history to make sure they haven’t been able to access inappropriate material and talk to them about what they have been doing online. It’s so important to keep talking to your child so that they always feel able to come to you if something isn’t right. And while we know its essential that your child trusts you, it’s also reasonable for them to know that you will be checking their phone and/ or tablet regularly to ensure they are staying safe online. Just a quick scan of messages and photos is suffice, but do it regularly and et your child know that passwords for all sites must be shared too.